We recently were asked by a customer to show our plant and share our production improvements to an out of state group of their employees. 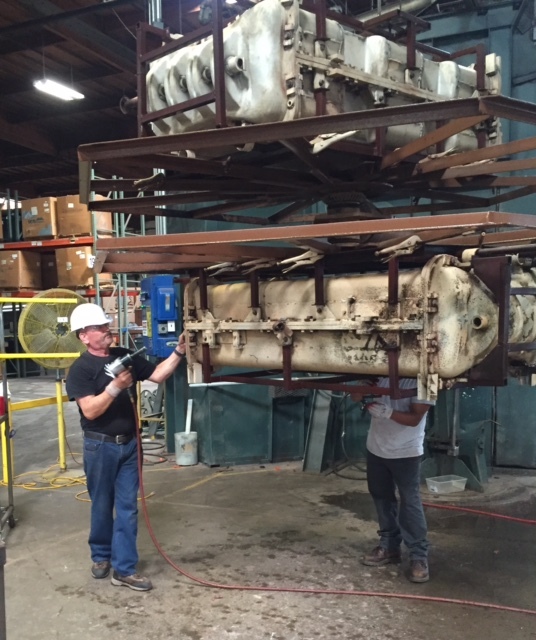 Our customer had only recently started to rotationally mold their own products at their facility in the Midwest and was interested in how they could become more efficient. My first reaction to the request involved a real concern to share our time and the many process improvement’s we had worked so hard to achieve, what came out of my agreeing to the visit was a tremendous sense of pride in the employees of Spin Products. We watched as the machine operators loaded and unloaded parts like members of a symphony in perfect sync with each other and never pausing in their effort to complete each task. The visitors were in awe of just how hard the employees here at Spin Products work day in and day out with a good attitude toward the company and our management team. I know from being here, that the work they witnessed that day was not just a show but was our mindset and the culture we have developed within our company over the years. It’s an attitude that exists from top to bottom at our company and I’m proud of it each and every day.